I love celebrating Valentine’s Day, White Day (March 14), Black Day (April 14), Children’s Day, Halloween, Christmas, New Year’s (including Chinese New Year) and every other occasion you could think of. It’s fun! My favorites are Children’s Day and Black Day (where those who did not get anything from Valentine’s and White Day sulk over a bowl of black bean noodles). This year’s White Day was planned out by R and it was a great day! We left for Tagaytay around 11 a.m. and arrived past lunch time. 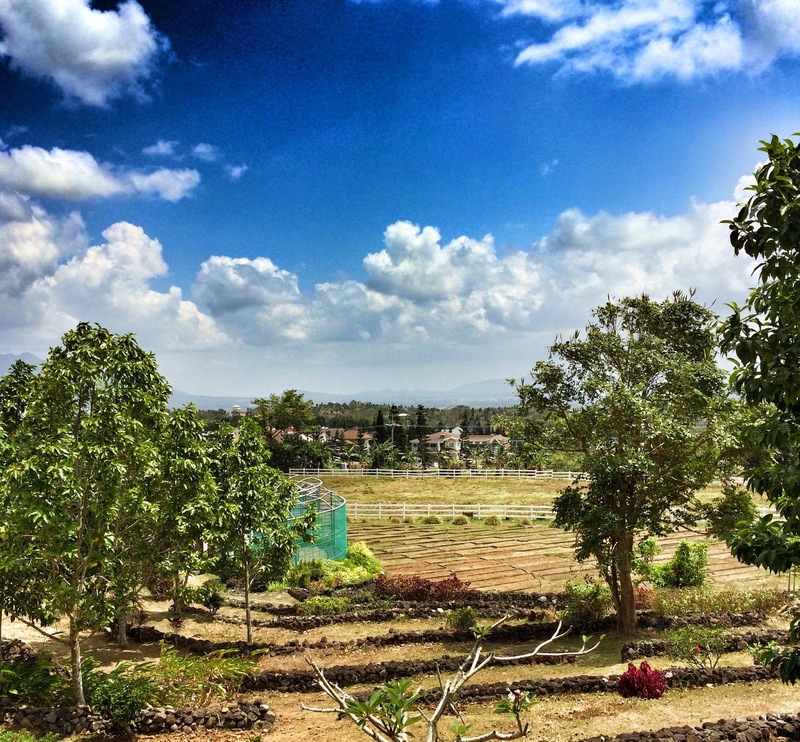 Famished, we decided to have lunch at Tagaytay Highlands instead of the original plan of visiting Sky Ranch. Since The Bistro Saratoga was nearer, we decided to go with that place for lunch. 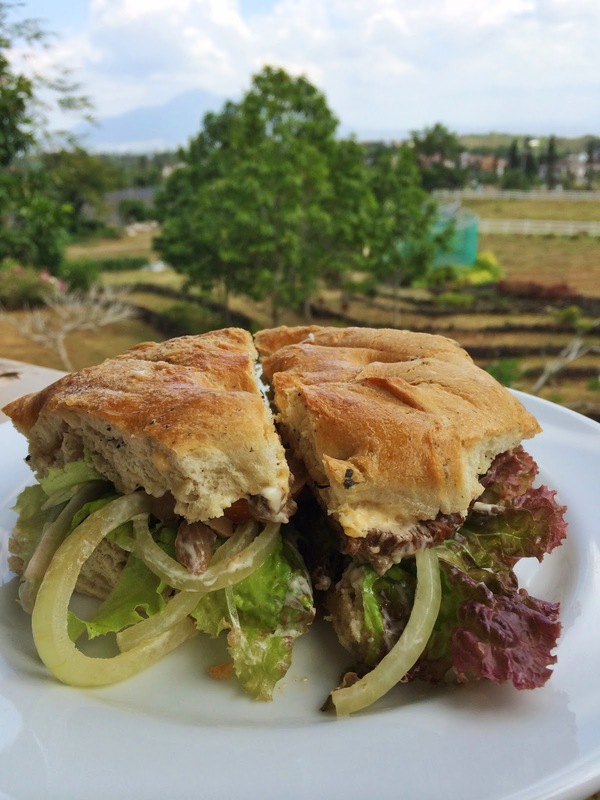 I decided to go for the make your own sandwich at PHP280. I chose roast beef with lettuce, tomatoes, onions, mushroom and cheese. I also got a cup of tomato soup and strawberry shake. R, on the other hand, got a plate of carbonara. The sandwich was served fast and it was pretty good! The focaccia bread was served warm and crunchy on the edges. The roast beef was a tad tough but juicy and flavorful. I loved it with the mushroom and cheese too! 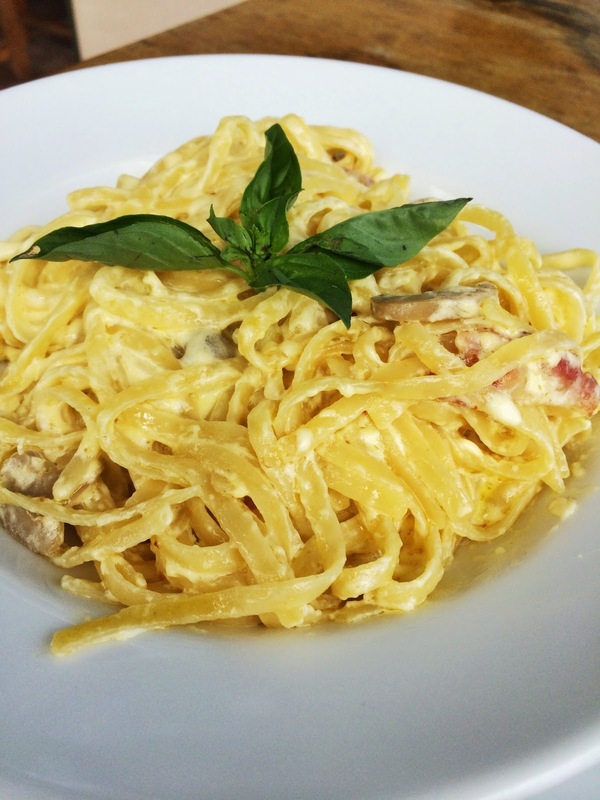 The carbonara was very creamy though it was quite bland for my taste. The serving was pretty generous though. 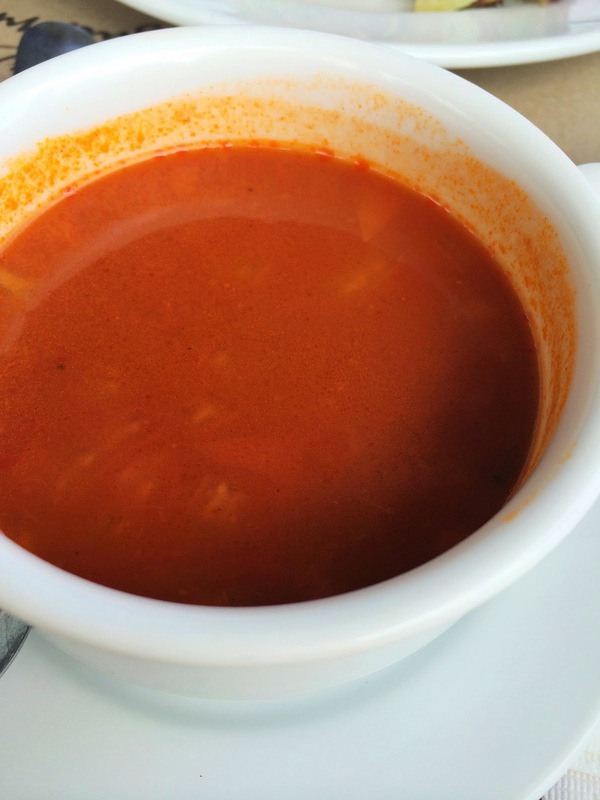 The tomato soup had a light texture though it had that slight tanginess that I love from that soup. It would have been a good appetizer if only it was served earlier. 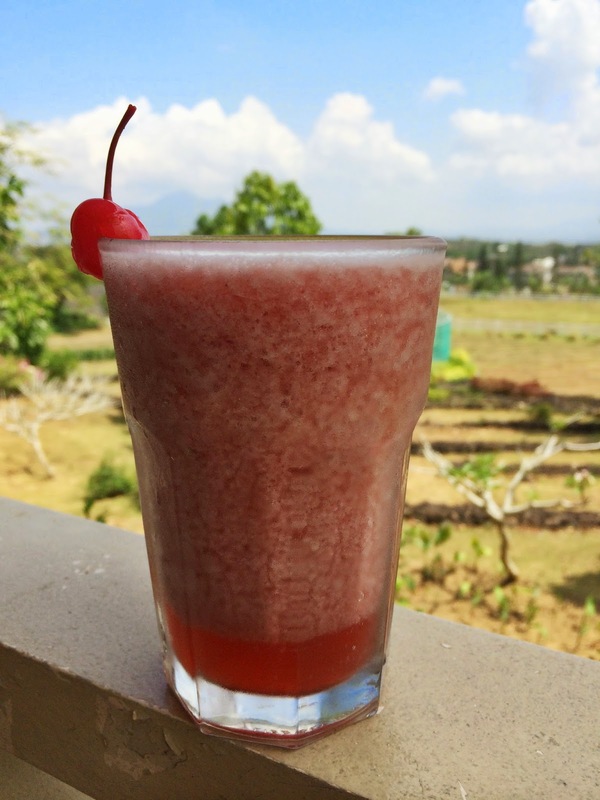 The strawberry shake was too sweet and it tasted quite artificial. I’ll definitely skip this one if I get to visit again. Overall, it was a filling lunch. I loved the sandwich and the soup. It was a good way to start the meal. 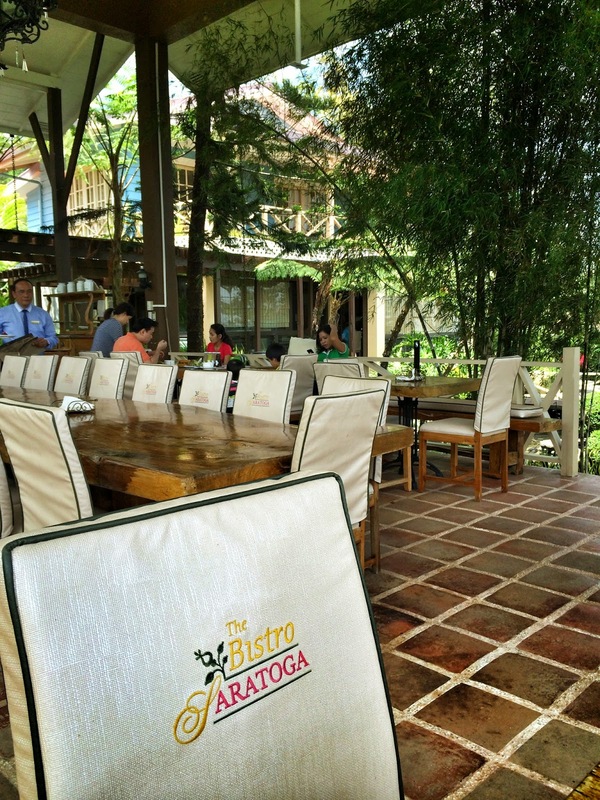 The Bistro Saratoga is located at Tagaytay Midlands, Tagaytay Highlands, Tagaytay-Calamba Road, Tagaytay, Cavite City.